Naos Yachts owner will bring first production of foiling monohull to in-water show at San Pedro. SAN PEDRO — Head-turning boats will certainly be a theme at the third annual L.A. Harbor Boat Show, which will be held at Cabrillo Way Marina in San Pedro, Sept. 21-24. One of those head-turners is sure to be the new Beneteau Figaro III, which will be showcased by Naos Yachts. 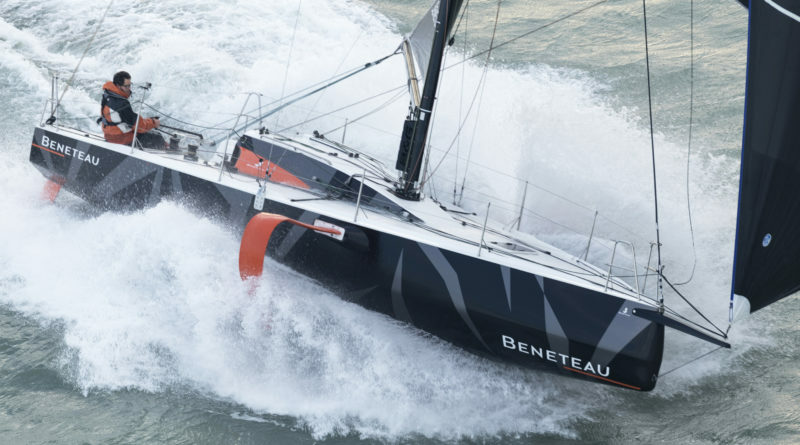 The Beneteau Figaro III is the first production foiling one-design monohull on the water and is owned by Naos Yachts’ owner Charles Devanneaux. The foiling one-design monohull was entered into the Pacific Cup and set the pace from San Francisco’s Golden Gate Bridge to Hawai’i. Her naval architect was Van Peteghem – Lauriot Prévost. One can purchase the Beneteau Figaro III at $225,000. The boat will be classified in the ISO/World Sailing Design Category A. Her overall length, or LOA, is 35 feet and 6 inches. The hull length is 32 feet and hull beam is 11 feet, 5 inches; the foiling monohull’s light displacement is 6,393.4 pounds. Figaro III has to hydrofoils – an orange protrusion on each side of the vessel. The vessel gains speeds as the hydrofoils raise the boat further and further out of the water. Figaro I raced from 1990 to 2002 and made 20 Atlantic crossings; Figaro II, meanwhile, raced from 2003-2018 and also made 20 transatlantic crossings.